Shortly before Virgin America reported one of its best financial performances in its history during 2Q2014 as profits trebled year-on-year to USD37 million, it announced an imminent IPO for 2014. After a 1Q2014 loss of USD22 million Virgin America still managed a USD15 million profit during 1H2014. This is the second part of a SWOT Analysis of Virgin America. The first part was published on 18-Aug-2014. Virgin America’s mid-scale offering – a first class, extra legroom offering and standard economy along with mood-lighting leather seats and some free in-flight entertainment – exemplifies the hybrid airline strategy. Its SEC filing maintains that, while it has "many of the characteristics associated with other LCCs in the United States," the differentiators are in the "additional attributes that business and high-end leisure travelers value. In contrast to most LCCs, we have three classes of service onboard our aircraft." It also offers a loyalty programme and lounge service including its own "Loft" at Los Angeles Airport. Of late Wall Street appears to favour the distinct models of global network airlines and ultra low-cost airlines over more hybrid type airlines. JetBlue has struggled to gain investor traction for its hybrid offering, and is constantly questioned by analysts about adding aircraft seats to densify its aircraft and charging for the first checked bag (which now seems imminent). Uncertainty is perhaps understandable as this form of hybridisation is relatively new to the American market; in Europe and Asia it is however now fairly well entrenched and has generally shown profitability. The concept of offering high quality service at a lower price is logically an advantage – but there are many distortions in the airline industry that have the ability to interfere with logic. In the meantime, Virgin America can expect the same type of pressure and scrutiny now that it intends to become a publicly traded company. It will be up to management to show that Virgin America can navigate towards a profitable new high quality/low price plateau. At one end of the spectrum, as Spirit battles negative publicity, it targets a distinctly cost-conscious passenger base that is today mostly unwanted by the large network airlines. The result is Spirit has an ability to stimulate passenger traffic rather than steal customers from other airlines, and has a string of profitability and margins that other airlines salivate over. In many instances Virgin America is attempting to lure customers away from network airlines, which have significantly more breadth and scale to pressure Virgin America. This is the fine line that it must walk to achieve long-term stability. Virgin America recorded its first annual profit during CY2013, an encouraging milestone for the company. 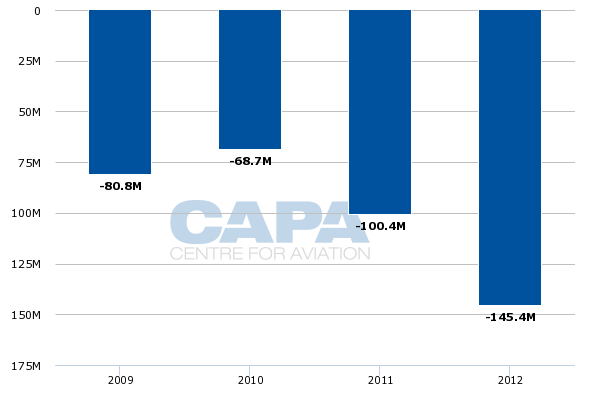 Its 2Q2014 and 1H2014 profits are also positive developments, but in the time period from CY2009 to CY2012 Virgin America’s cumulative losses were approximately USD395 million and its operating losses during that three year timeframe reached USD109 million. Virgin America's recent profitability is a reversal of this performance, but the airline will still need to demonstrate that this is the beginning of a trend and not simply a short term aberration. In its filing with US regulators outlining its intent to become a publicly traded company, Virgin America declared that it could offer no assurances that it could sustain or increase profitability. In this respect, the timing of Virgin America’s proposed IPO is aggressive, given that its profitability in CY2013 was supported by debt restructuring and a reworking of its future plans that included shrinking its order book and deferring deliveries of other aircraft. According to its SEC filing, Virgin America's annual aircraft rental expense was reduced by USD34.7 million, along with an interest expense decline of USD44.8 million. See related report: Virgin America Part 2: Is now the time to solidify its strategy and go public? Virgin America serves some of the busiest markets in the US; but does not have a commanding presence on any of those routes. On an ASM basis, it has a 3% share from Los Angeles and a roughly 5% share in San Francisco (based on CAPA and OAG data for the week of 11-Aug-2014 to 17-Aug-2014). 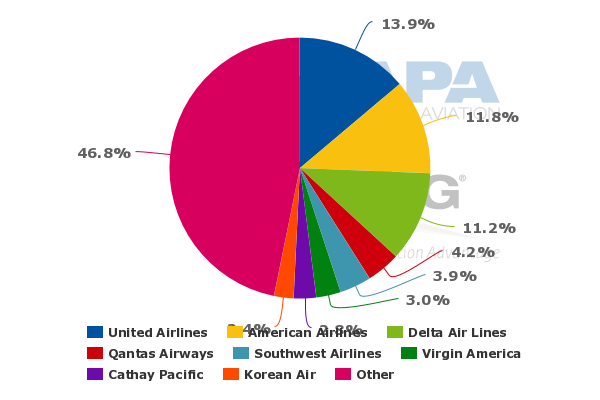 On most of its top 10 routes measured by ASM deployment Virgin America does not have a commanding presence, which is not as important if an airline adopts the Spirit business model. But Virgin America is competing for the same passengers as network airlines, and its lack of breadth does create some disadvantage as network airlines can more aptly compete on schedule. Alternatively, the fact that these routes are demonstrably business oriented does mean that a strategy based on diversion – with some stimulation (such as small businesses upgrading to a cheaper first class product) – means only a small capacity share can capture enough traffic to prosper. But "niches" are always difficult to maintain in the airline business. Earlier in 2014 Virgin America was the victor in obtaining two gates at Dallas Love Field. It plans to transition its service from Dallas Fort Worth to San Francisco and Los Angeles to Love and also to inaugurate service to Washington National and New York LaGuardia followed by Chicago O’Hare in 2015. Virgin America’s moves in Dallas may create an opportunity for the airline to leverage more O&D traffic from Love and offer an improved product than Love’s largest airline Southwest. The Love experiment should allow Virgin America to more adeptly execute its niche as it could lure some curious customers away from Southwest with its superior premium product; an increasingly under fire Southwest will no doubt defend its home territory vigorously, but Southwest has its own issues also. Virgin America’s passenger accolades spur interest from potential customers when it enters new markets, something it can leverage in Dallas and other markets it plans to enter. There are clear signs that the attraction delivers incremental results as the airline expands. Between Jun-2010 and Apr-2013 Virgin America grew its fleet from 28 to 53 aircraft and added 11 new markets during that timeframe. 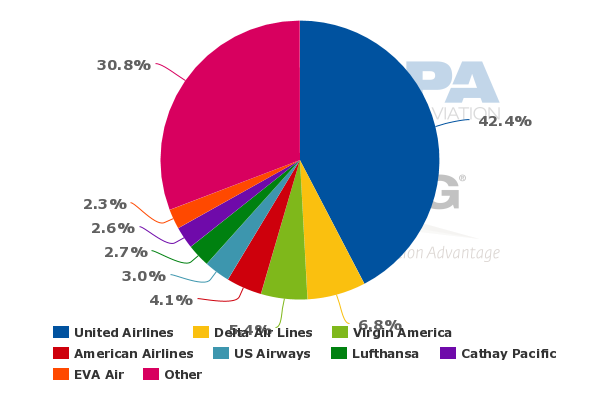 With the benefit of many markets reaching maturity, a number of those routes should be making a positive contribution to Virgin America’s system wide performance. The airline has stated that markets it launched in CY2011 and CY2012 recorded a 20.5% increase in unit revenue from CY2012 to CY2013 compared to its overall unit revenue increase of 9.3% in CY2013. This is an encouraging direction and one which should be expected to extrapolate. As the three/four major airline groups focus increasingly on profitability, as they remove overlaps on city pairs and hubs from newly consolidated operations, as fares increase steadily and as many low-cost/full service differentiators such as baggage charges are removed, new openings are being created for other lower cost airlines. This is patently obvious for ULCCs like Spirit and presumably Frontier, as recent moves to compensate for withdrawals at several airports have illustrated. But it also creates openings for a high quality, lower priced product like Virgin America's. This applies both to enhanced market opportunities, where routes may have been vacated, wholly or partially; and in terms of allowing upside in yield, as overall fare level expectations are raised. The market is now attuned to the idea of consolidating the existing operators and, with the current levels of profitability being achieved by the larger groups, investment funding is available on a scale previously unknown in the airline industry. Virgin America's investors are necessarily keen to achieve a strong return from the sell down, so that all options will be on the table. One potential partner which has been suggested in this context is JetBlue, an airline with a similarly high quality product and reputation; JetBlue also has an A320-family fleet (as well as a regional operation with ERJ-190s) and has a hybrid product similar to Virgin America's. While there are some route overlaps, notably on their new high quality transcontinental services, considerable network synergies are possible. Virgin America's "focus cities" are Los Angeles and San Francisco, while JetBlue's strengths are out of the east coast. Even if there is no immediate move towards a merger, there will probably be sufficient industry and investor speculation about the potential to give Virgin America a boost. Virgin America’s unit cost excluding fuel for 2Q2014 increased nearly 4% year-on-year to a CASM of USD6.87 cents, driven in large part by higher labour and airport costs. 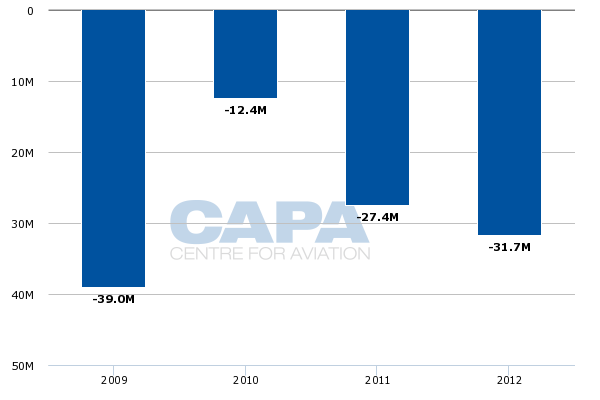 During 1H2014 its ex-fuel unit costs increased 3% year-on-year. Virgin America resumes aircraft deliveries in Jul-2015 after taking a breather from aircraft additions that began in Apr-2013. Even as building up scale does create cost efficiencies, the drivers of Virgin America’s cost creep seem variable, which creates uncertainty in those cost items in the future. These are not unique to Virgin America, but are nonetheless negatives. Virgin America had USD180 million cash on hand as of 30-Jun-2014. As of 31-Mar-2014 it recorded USD789 million in assets and roughly USD1.2 billion in total liabilities. As of YE2013 the airline had future operating lease obligations of USD1.7 billion in addition to pre-delivery payments to CFM International and Airbus covering future deliveries of engines and airframes. Taking all those pieces together it is easy to see why Virgin America is looking for liquidity from the public markets even if its investment thesis is tenuous. There are also plans for a further recapitalisation in 2014 pursuant to an agreement with main owners Virgin Group and Cyrus Capital, although specifics are not announced yet. Flight attendants at Virgin America recently voted in favour of union representation, and the unionisation of one employee group increases the chances that other work groups could follow suit. It is not a certainty that flight attendant unionisation will result in a rise in labour costs; but the new union is no doubt ready to prove its mettle in upcoming collective bargaining. As the SEC filing notes, when one employment sector "elects a union to represent them, it could create a risk of work stoppages which could materially adversely affect our business". Virgin America became airborne in 2007 just prior to historical oil price spikes and a global economic downturn that crimped travel demand. The unfortunate timing of its launch likely did affect its ability to gain traction during its early existence. But the economy in the US during the past couple of years has been steady and the domestic market was the top performer for the country’s major airlines in 2Q2014 as business travel remained robust. Virgin America benefitted from that upswing and there is no obvious sign why that trend should not continue. Nonetheless, Virgin America’s largest challenge remains the same – proving its staying power in the market place. It is aiming to access the public markets with a short record of profitability and a still-weak balance sheet. Virgin America will clearly remain a passenger favourite but it still has some way to go to prove it has a longer term sustainable business operation.